The 18' slide is a great way to cool off on those hot summer days. 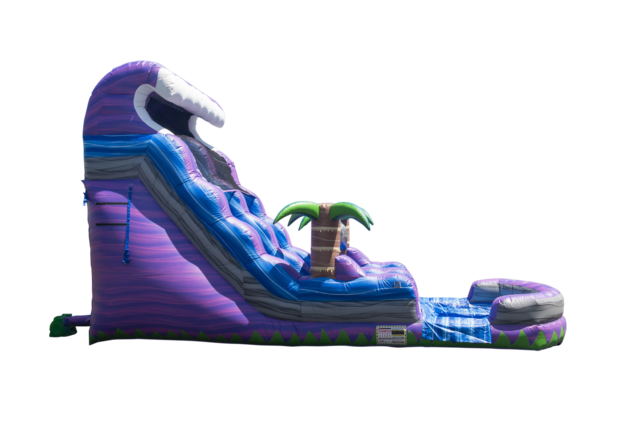 The tropical theme as well as the purple and blue colors invites you to come slide! This slide is perfect for children and adults and is proudly made in the USA!